We’re honored to host a booth at the 2015 Tampa Home and Garden Show. The show features many of the local and regional suppliers for home décor and improvement. In addition to some of the more established brands, including Home Depot and Sears, were many Tampa-area designers and builders. 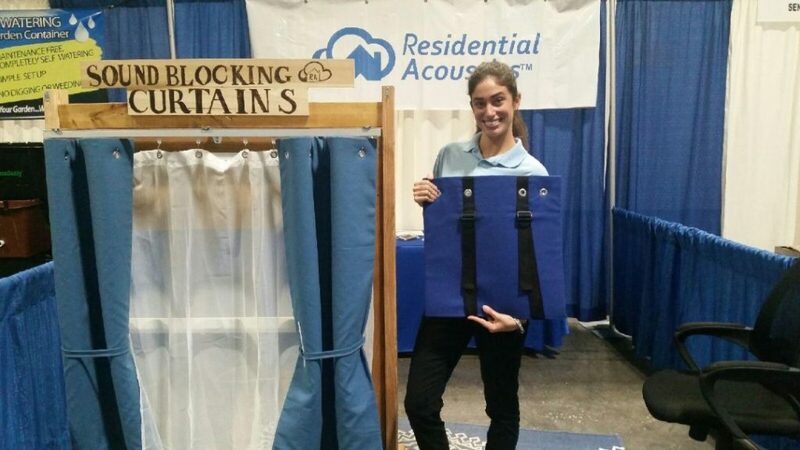 Soundproofing and energy-efficient windows were a common theme throughout the event, as companies tried to find ways to help consumers deal with increasingly busy street, traffic, and neighborhood noise, while also looking for ways to reduce their electric bills. We had hundreds of patrons visit our “soundproof booth” and learn how our soundproof curtains work. From the newly released AcoustiTrac to our other product lines, we got great feedback on how to make the curtains more economical and user-friendly. Our soundproofing demo also proved useful to show people how many decibels we can soundproof, depending on their noise levels and noise sources (low frequency noises are tougher to block than high ones). Another great day spreading soundproofing and acoustic knowledge!